Showing your employees that you care about their health is a symbol of integrity they will never forget. As an employer, it’s important to keep your employees’ physical and mental health at the top of your priority list. Why? Because they are what drive your company to success. Success doesn’t come from one person alone, but from a team of dedicated, hardworking people who run toward the same vision and establish that path to success. This is why Wellworks for You has developed disease management programs to help you guide your employees in the right direction. Our featured programs are our Diabetes Awareness Programs. 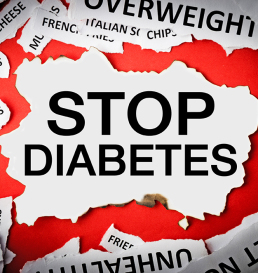 Do My Employees Need Diabetes Awareness Programs? Yes. Did you know that in 2012, 86 million americans ages 20 and older were pre-diabetic, while 29.1 million americans actually had diabetes. Which fact stands out to you more? Assumingly so, the 86 million who were pre-diabetic. This is why Wellworks For You has created these wonderful diabetes awareness programs to help those that are pre-diabetic and don’t know it, those who do know it, and those who are diabetic reach the health goals that they long for. There are 3 forms of diabetes. Type 1 Diabetes – More commonly found in children or young adults, only about 5% of people with diabetes have this form. With type 1 diabetes, your body does not produce insulin (a hormone that the body needs to get glucose/sugar from the bloodstream into the cells of the body). Type 2 Diabetes – This is where your body does produce insulin, but doesn’t use it properly. Also known as insulin resistance, your pancreas makes extra insulin to make up for it. Eventually, your pancreas can’t keep up with the demands of the insulin your body needs. Gestational Diabetes – Gestational diabetes is tested around 24 weeks of pregnancy and does not have any relation to pre-pregnancy or post-pregnancy diabetes. There is no known cause for what exactly causes gestational diabetes, but it is assumed that the hormones in the placenta block the insulin to the mother’s body. Now that you know the 3 forms of diabetes, what next? With our Disease Management Program, we provide a comprehensive outreach for those identified as being high-risk or already diabetic and improve their lives through early intervention. This program is member-driven, allowing your employee to stay up-to-date with Health Risk Assessments, Biometric Screenings, and Traditional Health Coaching. As a vital part of our diabetes awareness programs, our health coaches will walk step-by-step with your employees; no matter the stage of diabetes or pre-diabetes they may be in. Our health coaches will give your employees advice and encouragement on nutrition, exercise, blood pressure and cholesterol maintenance, healthy meals on the go and more! Your employees will be grateful for the coaching you provide for them. Seeing that a surprising number of americans are pre-diabetic, it doesn’t hurt to utilize our diabetes awareness programs during lunchtime! Gather your company and sit down while we provide you with a number of materials and education for your staff on the importance of diabetic awareness, prevention and management. For more information on implementing a Diabetes Awareness Program within your company, contact us here at Wellworks For You via our website, or give us a call at 800-425-4657.